Having just returned home very late last night, I do not have a farm update quite yet, so I’ll leave you with one last look at some of the animals of Mexico. 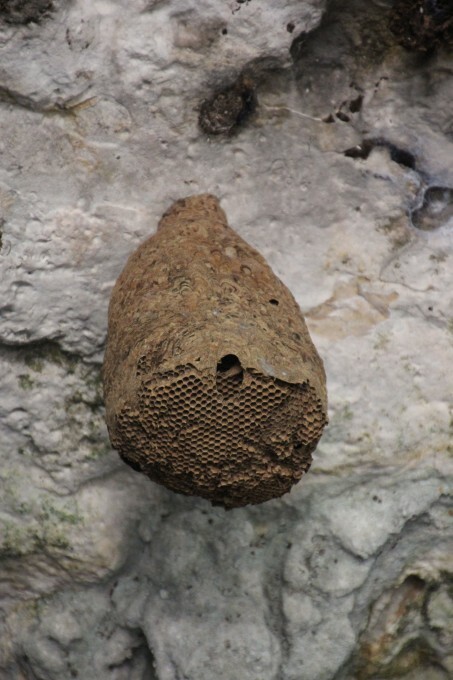 While we were at the Cenote Dos Ojos outside of Akumal I noticed one of these nests hanging on the ceiling of the cenote cave overhang. 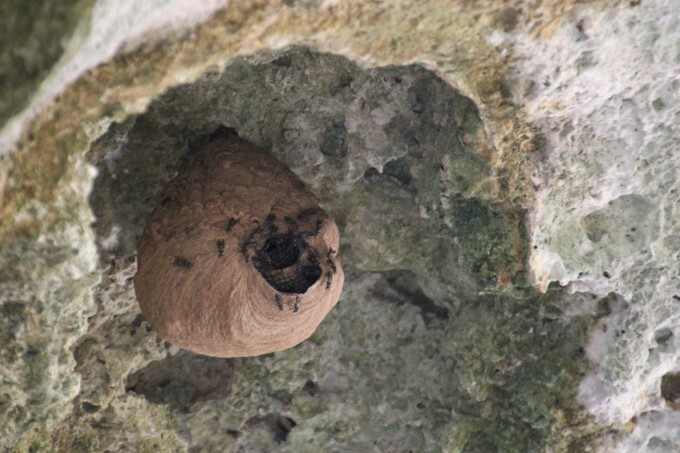 It didn’t look like any wasps nest that I’d ever seen, and the first one I saw was unoccupied, but it was quite beautiful. 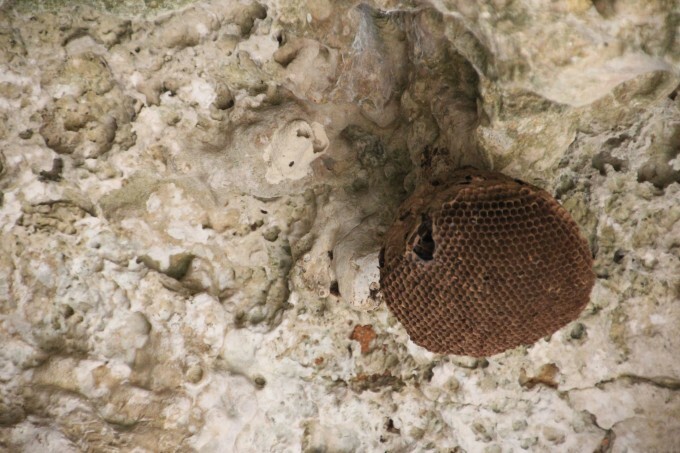 When I started looking around while taking some photographs I came across several more nests that were inhabited, but they were too far away to tell what kind of bee-like creature they were. 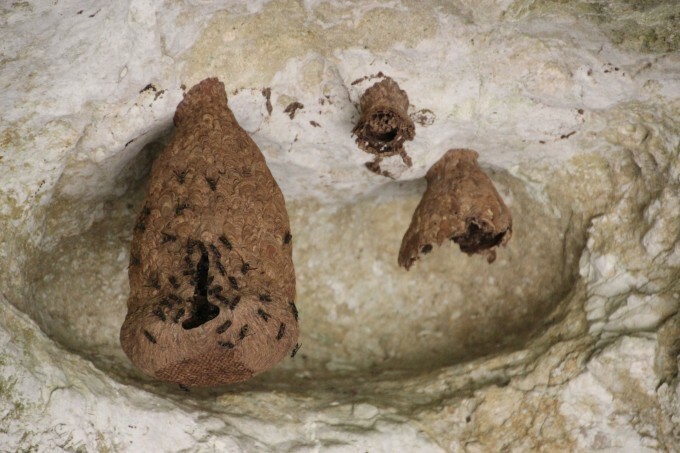 Upon researching it tonight I have determined that these were nests of the Bald Faced Hornet, which I’d never heard of before but we do have them here in the United States. Full Site or click here to subscribe by category. Always be yourself because the people that matter don't mind and the ones that mind don't matter.